Browse: Home / Discover updates – Custom bash scripts To automate various pentesting tasks. + Updated Metasploit and Meterpreter notes. 1. android/meterpreter/reverse_tcp – Run a meterpreter server on Android. Connect back stager. 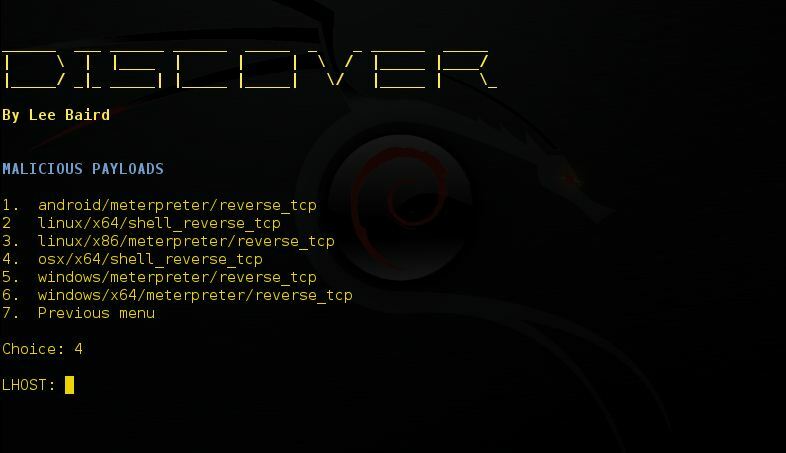 2. linux/x64/shell_reverse_tcp – Connect back to attacker and spawn a command shell. 3. linux/x86/meterpreter/reverse_tcp – Inject the meterpreter server payload (staged). Connect back to the attacker. 4. osx/x64/shell_reverse_tcp – Connect back to attacker and spawn a command shell. 5. windows/meterpreter/reverse_tcp – Inject the meterpreter server DLL via the Reflective Dll Injection payload (staged). Connect back to the attacker. Formerly BackTrack scripts. For use with Kali Linux. Custom bash scripts used to automate various pentesting tasks. – sslscan and sslyze to check for SSL/TLS certificate issues. – Passive combines goofile, goog-mail, goohost, theHarvester, Metasploit, dnsrecon, URLCrazy, Whois and multiple webistes. 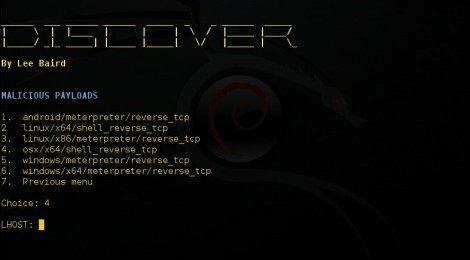 – Active combines Nmap, dnsrecon, Fierce, lbd, WAF00W, traceroute and Whatweb. – Scanning CIDR, List, IP or domain. All scripts must be ran from this location. ← pcapfex – Packet Capture Forensic Evidence eXtractor.